Ride independently and learn a few tricks like your first jump! It’s time to become an independent rider and the more you learn, the more passionate you will become about kiteboarding! 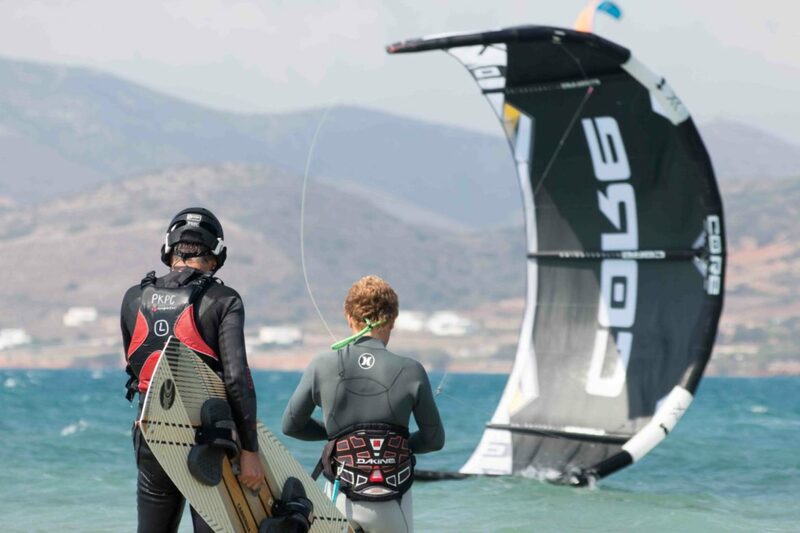 On this course, your IKO Instructor will show you how to ride upwind, toe-side,, and help you focus on higher skills like controlling your speed by edging, changing direction without stopping, self-launching and self-landing safely. As an independent rider, you’ll be able to ride on your own and rent equipment wherever you go. 3 hours per session! Not all content of Level 3 can be covered in one session. Group lesson with 2 people. 1 student to instructor ratio. * Price per person. 1 student to instructor ratio. * Price per person. One of the reasons Paros Kite Pro Center enjoys the reputation of a reliable and safe club is that we know the perfect balance between an individual and group approach. We inspire team spirit in all the groups, but also pay close attention to each and every group member. We make sure each student learns the proper kiting technique and builds a solid foundation. Even though it may seem there are very few rules in kitesurfing, that’s not the case. That’s why we take time first to explain various techniques and rules before our students take their kites and head for the ocean. Our lessons are well-organized and our instructors methodical – your safety is our top priority! We look forward to seeing you kite with us! © 2019 Paros Kite Pro Center. All rights reserved.